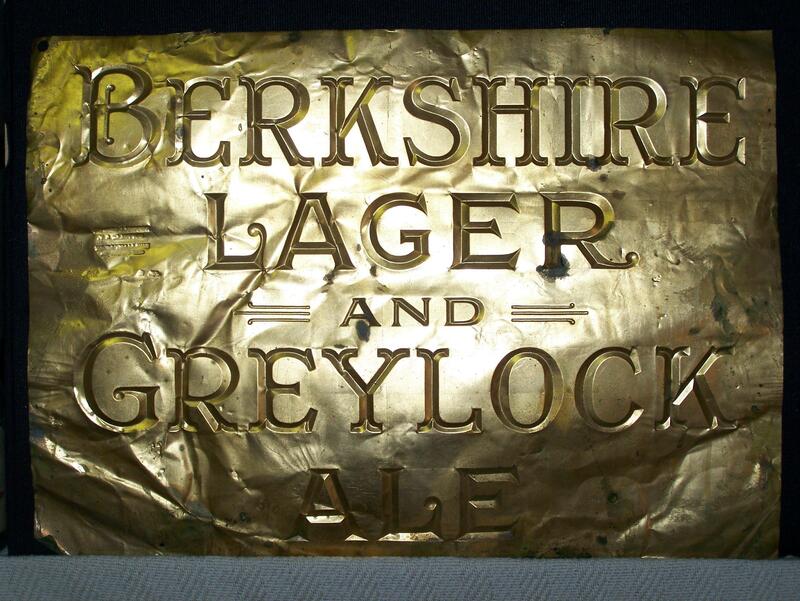 Berkshire Brewing Association - Berkshire Lager & Greylock Ale Sign. This sign is extremely fragile and shows alot of wear. There are small holes in the corners indicating it was mounted somehow at one time. Truly are rare piece and one of a kind. 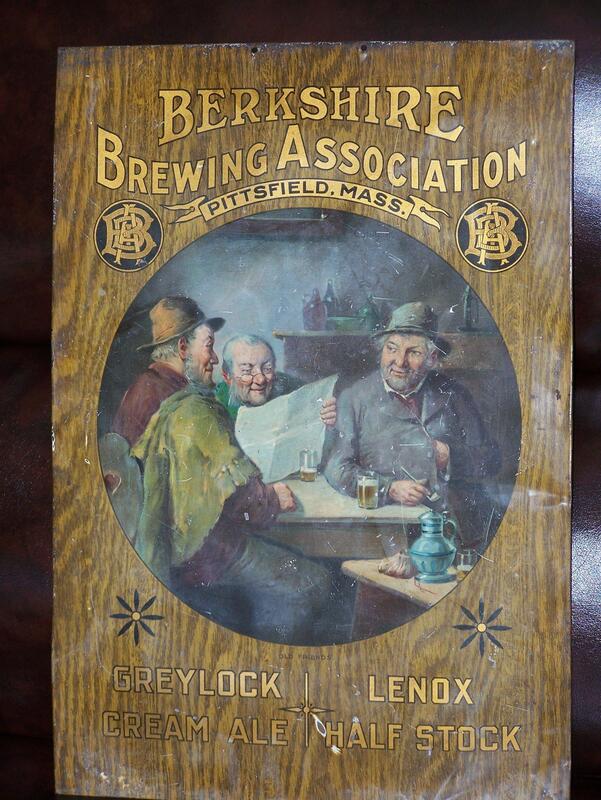 Berkshire Brewing Association - Tin Over Cardboard - Greylock Cream Ale & Lenox Half Stock Ale. Shows moderate wear and is still highly presentable. This TOC sign has alot of water marks to the cardboard backing along with some random writings. The words "Old Friends" are written underneath the photo of the three men . Truly are rare piece and one of a kind.